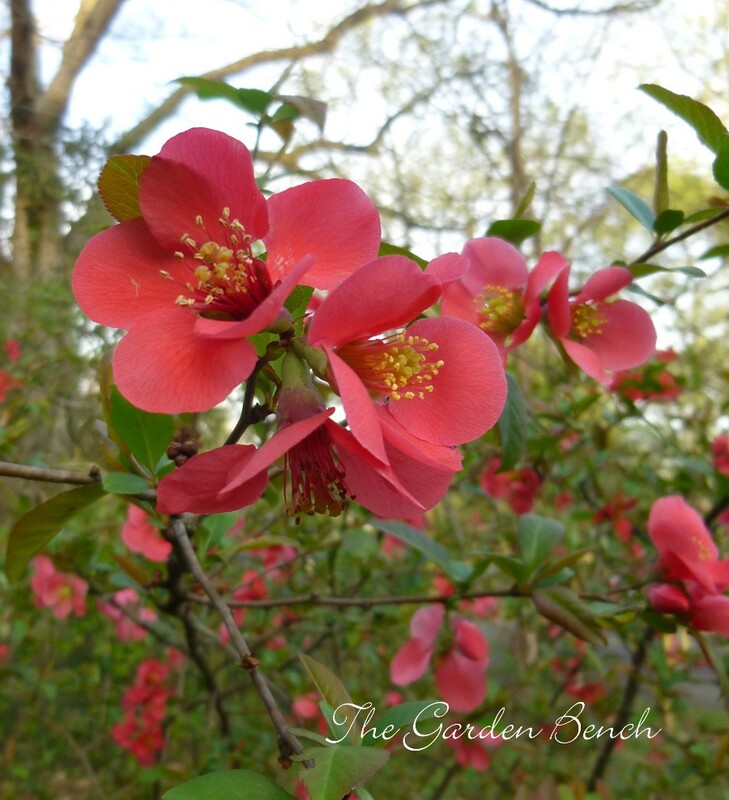 Gardeners in Middle Tennessee (home of The Garden Bench) know that, in spite of what the calendar says, early spring has arrived. 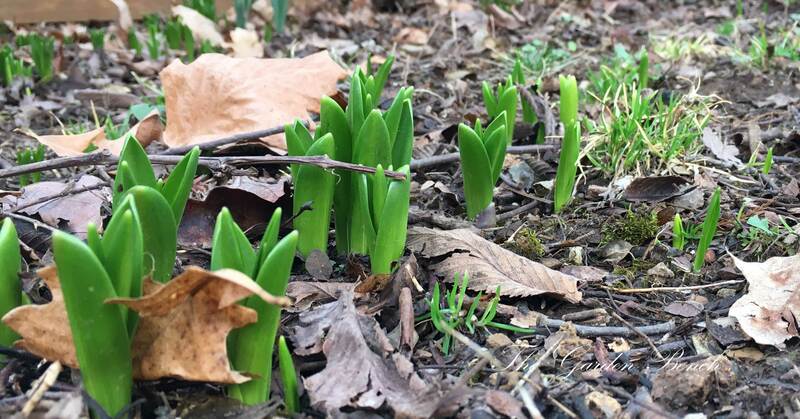 It’s almost March, and buds are swelling, bulbs are up and many are blooming, tips of favorite perennials are poking up through the mulch. And while we know that winter can – probably will – visit us again in a few days, we can get outdoors and enjoy the emergence of the new season with these early-spring tips and tasks. Prepare new garden beds: Have the soil tested (check with your county’s Extension service to learn how). Remove grass and dig or till soil 8 to 10 inches deep and mix with soil amendments and organic matter to improve drainage. Add a dose of fertilizer to perennials as soon as you see new growth. Keep it light; too much fertilizer may result in lanky growth. Cut back liriope and other ornamental grasses. It’s easier now that it will be once new growth emerges. If your fescue lawn looks a little skimpy, overseed early this month. Fescue grows best when the weather is still cool. It’s best to wait until early fall for a complete lawn renovation. Herb transplants that don’t mind cool weather — parsley, cilantro, sage, oregano – can go in the ground now. And of course you can also plant seeds and transplants of radishes, lettuce, spinach and other cool-season vegetables. Clip dead stems from perennial herbs – thyme, sage, lavender, rosemary (if your rosemary survived; many Middle Tennessee gardeners’ rosemary plants succumbed to the cold this winter). Pruning those perennial herbs encourages vigorous new growth. Remove mulch or leaves that may be covering perennials in garden beds. If you need to prune nandinas, flowering quince and other airy shrubs, don’t shear the shrubs. Reach in and remove about a third of the branches at ground level. 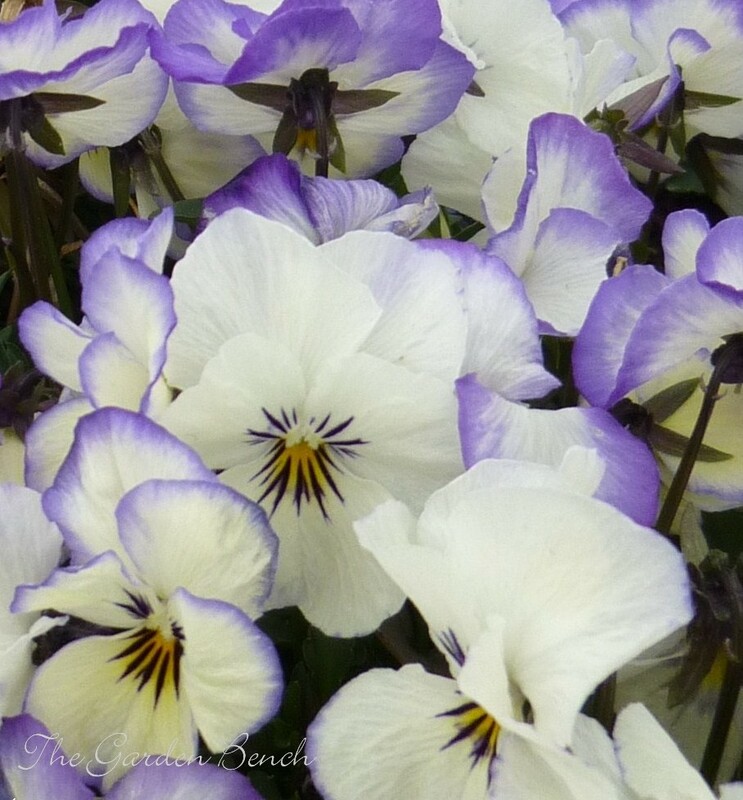 Give pansies a light dose of fertilizer as they continue to bloom through early spring. 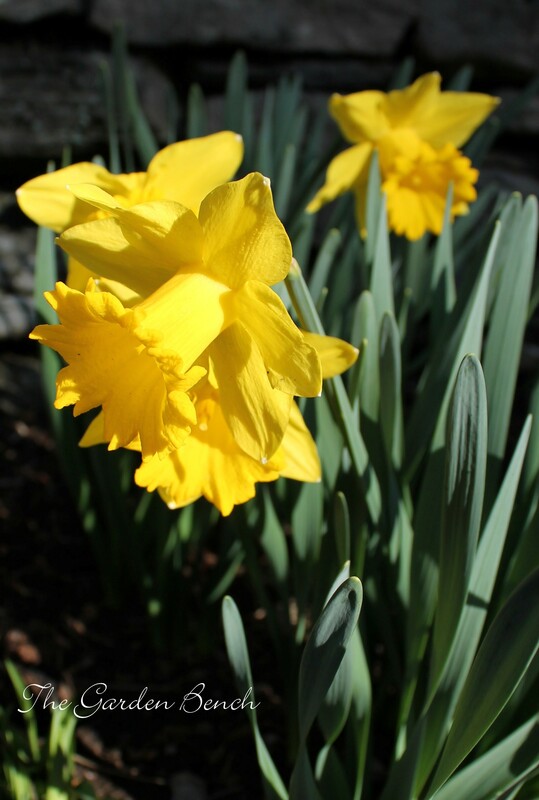 When you cut daffodils and other early-spring flowers to bring inside, cut the stems at an angle and place them in water right away. Change the water in the vase daily to keep them fresh longer. 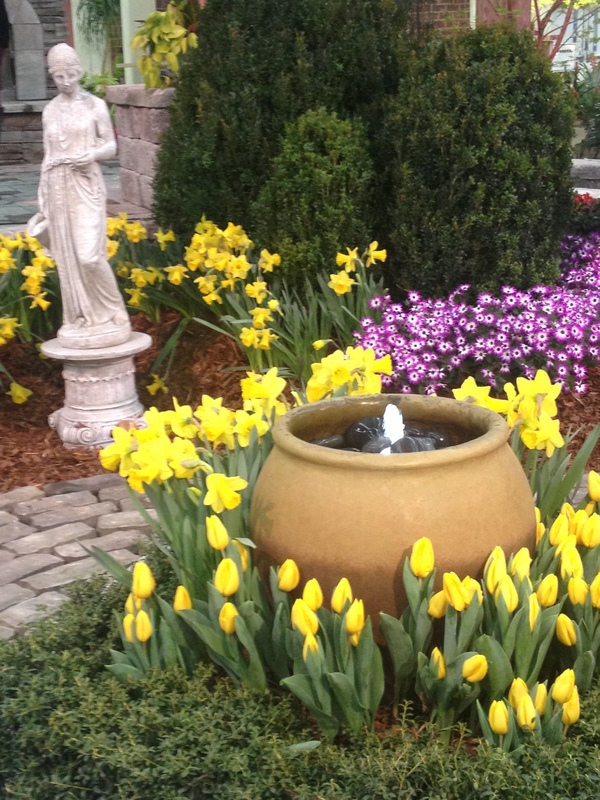 The annual Nashville Lawn and Garden Show is what signals the arrival of spring for many Middle Tennessee gardeners. This year’s show will be March 1 – 4 at The Fairgrounds Nashville. The all-indoors event includes live gardens from top landscape designers, displays, vendors, a floral gallery and an extensive lecture series. This year’s featured speaker is Brie Arthur, author of “The Foodscape Revolution,” who will present lectures on March 3 and 4. For my interview with Brie and more details on the show, see the story here at Tennessean.com, and in Friday’s Tennessean. May is a busy and beautiful time in the garden. Here are tasks and tips to keep you busy this month. If you haven’t already gotten those warm-season vegetables in the ground, plant them now! Tomatoes, peppers, squash, okra, beans, eggplant and other favorites will get off to a fast start now that the weather is warm. 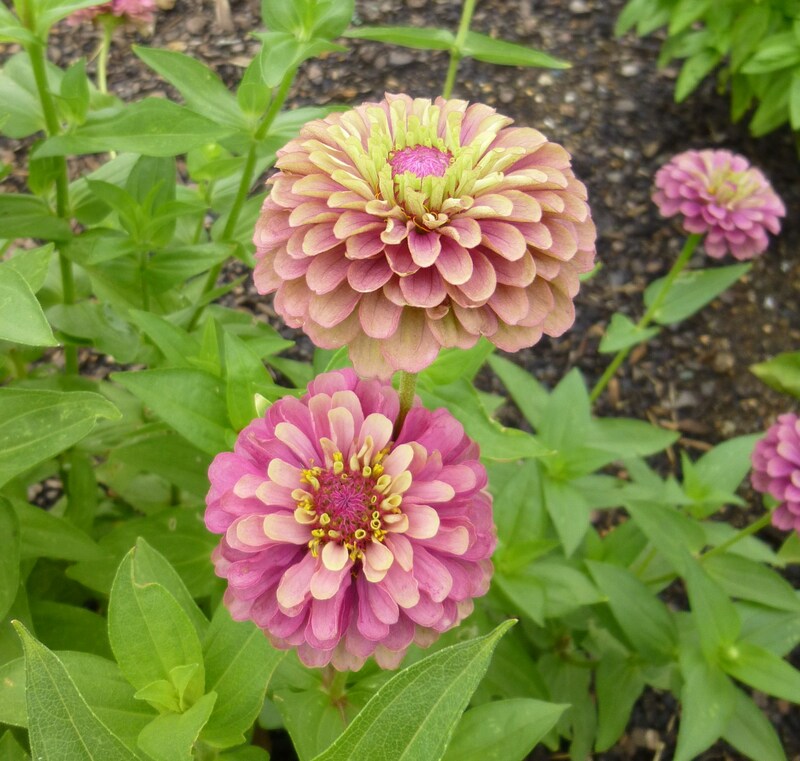 Set out bedding plants of zinnias and other summer annuals. Set out bedding plants of zinnias, celosia, snapdragon, begonias, petunias, coleus – all the favorite summer annuals. The parsley in our garden is beautiful, and we’d like to dig some of it up to plant in pots and grow it indoors this winter. What’s the best way to do that, and when is the best time? 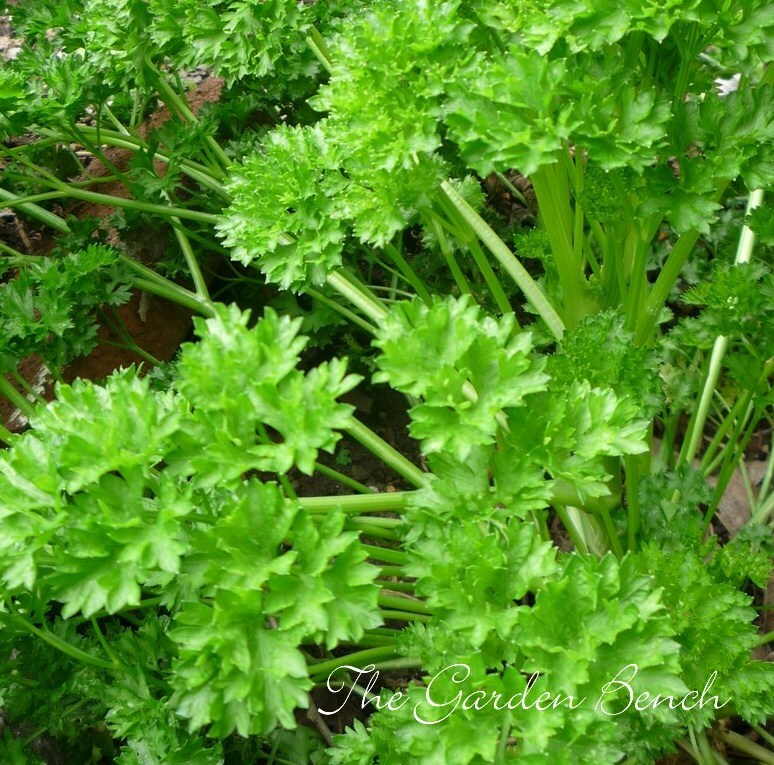 To grow parsley indoors, it’s best to purchase transplants or grow your own from seeds. Indoors, parsley needs plenty of light to grow well — about six hours of direct sun, so if you have a window that receives that much, that’s the best place for it. Otherwise, grow it under artificial light, about 14 hours a day. Keep the light about six inches above the plant. Plant seedlings in a good-quality potting mix, and keep the soil evenly moist. Feed the plants regularly with a balanced fertilizer. If you grow parsley from seeds, know that it can be a slow process. Parsley seeds germinate slowly; soaking them in warm water for a few hours before planting can speed the process, but they may still take up to three weeks to germinate. Keep parsley in the garden, as well. 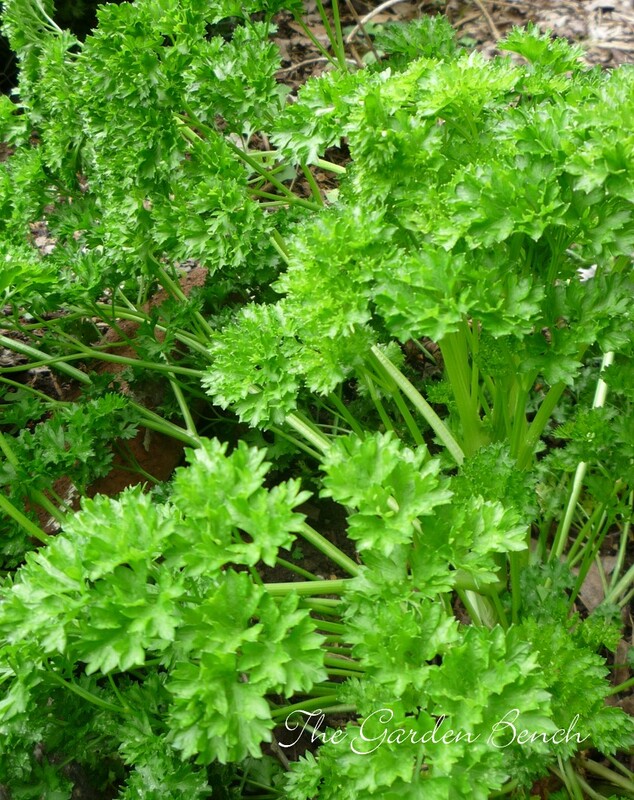 In my experience, during mild winters here in Middle Tennessee, parsley stays green well after many other things are frozen, especially if it’s planted in a protected area. Gardeners in Middle Tennessee (where The Garden Bench calls home) know that August can be brutal, and some days it’s best to stay inside. Here’s a tip: Get out early – before 7 a.m. if you can – and get those necessary tasks done. Then enjoy the rest of the day indoors, and remember that cooler days will be here soon. 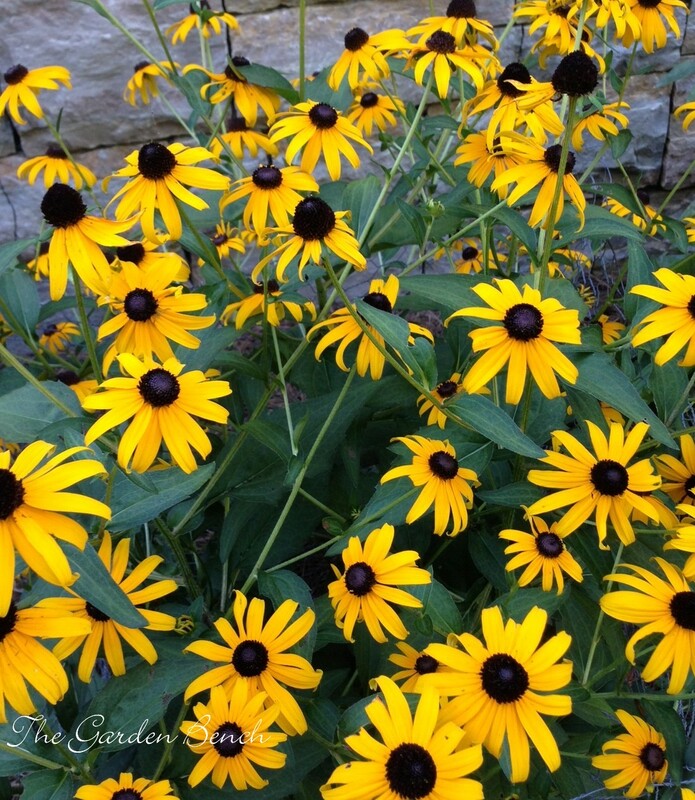 Keep deadheading daisies, coneflowers, black-eyed Susans and other summer-flowering perennials. Many things stop blooming when it’s 90 degrees and above. As things cool down slightly, flowers in the beds and vegetables in the kitchen garden should be blooming again. Provide ample water if it doesn’t rain. Continue to watch for Japanese beetles. Pick off any you find on your roses or other prized plants, and plunk them into a bowl of soapy water. Save your prized tomatoes from the birds. Pick them before they are fully red and let them ripen indoors. If petunias are looking scrappy, cut them back and provide a light dose of fertilizer. They should soon re-bloom. Continue to harvest and use basil frequently to keep the plant from setting seed too early. Begin cleaning up vegetable beds. Remove dead or dying foliage and any rotting vegetables. A tidy garden bed means fewer places for destructive insects to overwinter. Watch for spider mites on roses, which thrive in hot, dry weather and can quickly defoliate a rosebush. A strong spray of water on the undersides of the leaves every two or three days for a week should help keep them under control. If you saved your potted amaryllis bulb from last winter and it has spent the summer outdoors, move it to a cool, dark place and let it dry out. Amaryllis needs a dormant period before it blooms again next winter. There’s no need to water your lawn every day. Experts advise deep watering every few days rather than a shallow sprinkling every day. Try to keep ahead of the weeds. But if you can’t, at least snip or pinch off the tops to keep them from flowering and setting seed. Late summer is a good time to thin iris beds. Cut back the foliage, dig up the rhizomes and brush off as much dirt as you can. Discard any roots that are rotting or soft, then replant the rhizomes. Avoid planting new trees and shrubs in the hottest part of summer. Be sure that trees, shrubs and perennials planted this spring are receiving enough water during long hot spells. Some summer herbs can be frozen to use later. Try freezing fresh sprigs of parsley, oregano, sage, tarragon and dill. Rinse the herbs and pat them dry, then place them in separate freezer bags or containers with tight-fitting lids. Use them within four months. Begin gathering seeds of annuals or vegetables to plant next year. Dry seeds thoroughly and store them in a place that’s cool and dry. Be sure to label them before you put them away. 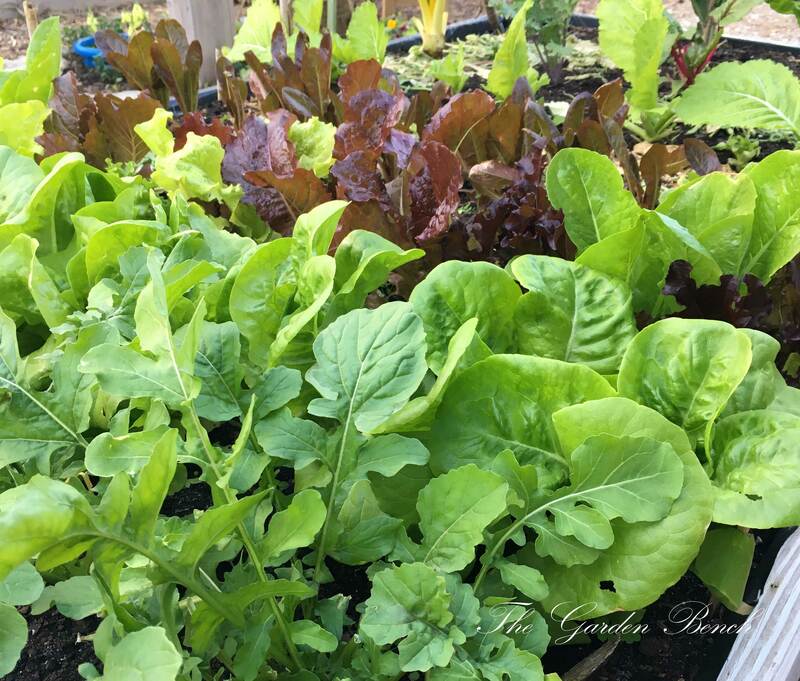 Plant a cool season kitchen garden late this month — spinach, greens, kale, lettuces and other favorites. Keep beds or containers watered as seeds sprout, and watch for late-summer insect pests. 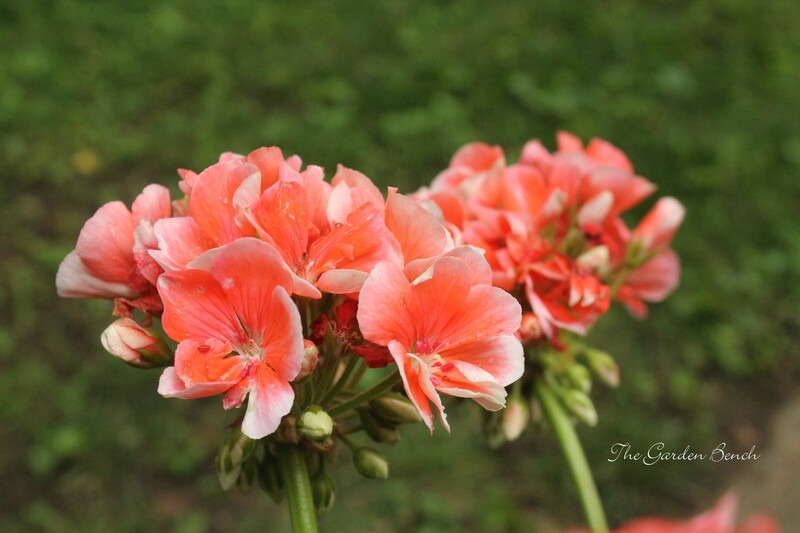 Cut geraniums and other summer annuals to encourage them to grow fuller. In the kitchen garden, pick zucchini, summer squash and cucumbers while they are still small and tender. Plant a second crop of those summer vegetables that grow quickly: bush beans, squash and cucumbers are easy favorites. Watch for Japanese beetles. Experts don’t recommend Japanese beetle traps, which may attract more beetles to your landscape than would normally visit. Pluck them off the plants and drop them into a pan of soapy water. If summer annuals such as coleus or geraniums are getting leggy, cut them back to encourage them to grow bushier. As a bonus, root the cuttings in water to have even more plants. Before you leave for vacation, arrange for someone to water annual, vegetable and perennial beds and container gardens while you’re away. Make it easy for them: set up sprinklers in strategic places and hire a neighborhood youngster to turn on the faucet if it doesn’t rain. Cut zinnias often. The more you cut, the more they bloom. Bearded irises can be divided every three to five to years; mid-July is a good time to do it. Lawn growth may slow down in the heat, but you may still have to mow. When you do, only cut about a third of the lawn’s height. Cut chrysanthemums back in order to delay flowering until fall. Herbs, annuals and perennials growing in containers need water every day when it’s hot. Don’t let them droop. 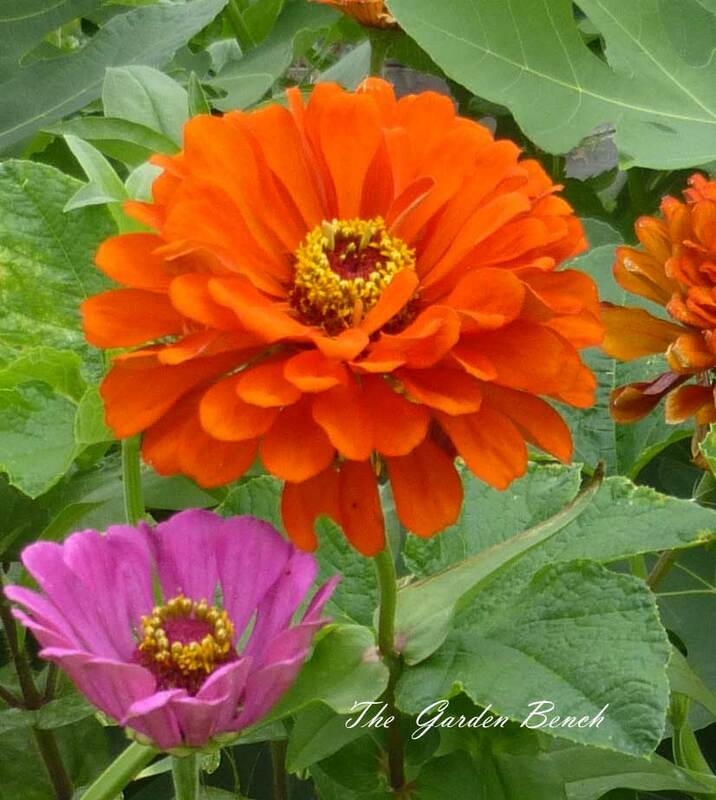 Keep cutting summer flowers such as zinnias and cosmos often; the more you cut, the better they bloom. Keep the soil evenly moist for tomatoes. It’s hot, so get out early in the day to work in the garden. Drink plenty of water, wear a hat and use sunscreen. 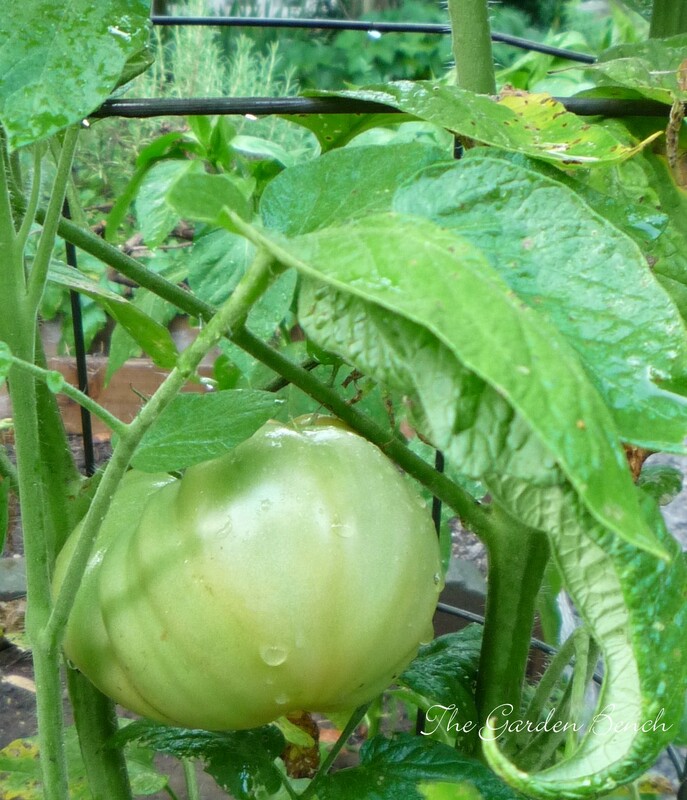 Keep the soil around tomato plants evenly moist. Inconsistent watering can cause tomatoes to develop cracks. Some summer flowers that grow tall may need staking to keep them from toppling in a heavy rainfall. Continue to deadhead plants – cut off the spent flowers – to extend the blooming period. Don’t forget about shrubs and trees planted this spring; they need an extra dose of attention in this heat. Give them a slow drink from a dripping water hose once or twice a week. A layer of mulch around newly planted threes and shrubs helps keep the soil moist longer. Check the mulch in perennial and annual beds. Add more if it’s beginning to look thin. A good layer of mulch will help keep soil moist longer in the summer heat. 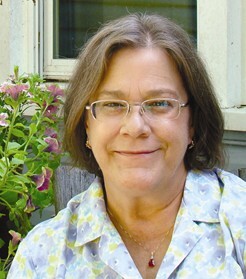 Cornelia Holland, Photo courtesy University of Tennessee Institute of Agriculture. she calls Tranquility at her home. 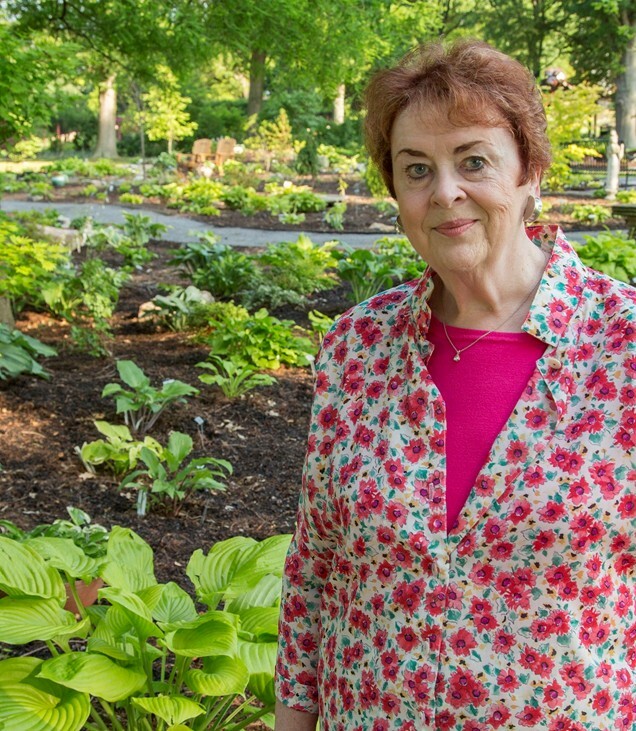 She has donated plants to the University of Tennessee Institute of Agriculture in Knoxville to establish Tranquility – The Cornelia B. Holland Hosta Grden at the University of Tennessee Gardens. Read the story in Saturday’s Tennessean. Here in Middle Tennessee (Zone 7a, where The Garden Bench calls home), April brings the garden into sharp focus. Where to begin? Here’s a list of suggestions, week by week, of tips and tasks for April in the garden. Prune forsythia and flowering quince soon after they finish blooming. Prune out about one-third of the branches by cutting out the oldest limbs as close to the ground as possible. Mulch around the shrubs to discourage weeds and to retain moisture. It’s still too early to set out most vegetable transplants, but not too early to prepare the beds. Till the soil and work in organic matter. Cover with mulch until you are ready to plant. Begin fertilizing roses after new foliage appears. Keep your mower blade sharp, and when you mow, don’t cut too short. Set the mower so that it removes only about a third of the height of the grass. The hummingbirds will arrive soon. Prepare a solution of one part sugar to four parts boiling water. Let it cool, then fill the hummingbird feeders. Red food coloring is not necessary. Average last frost date in Middle Tennessee is around mid-April. But don’t be fooled by fickle weather. 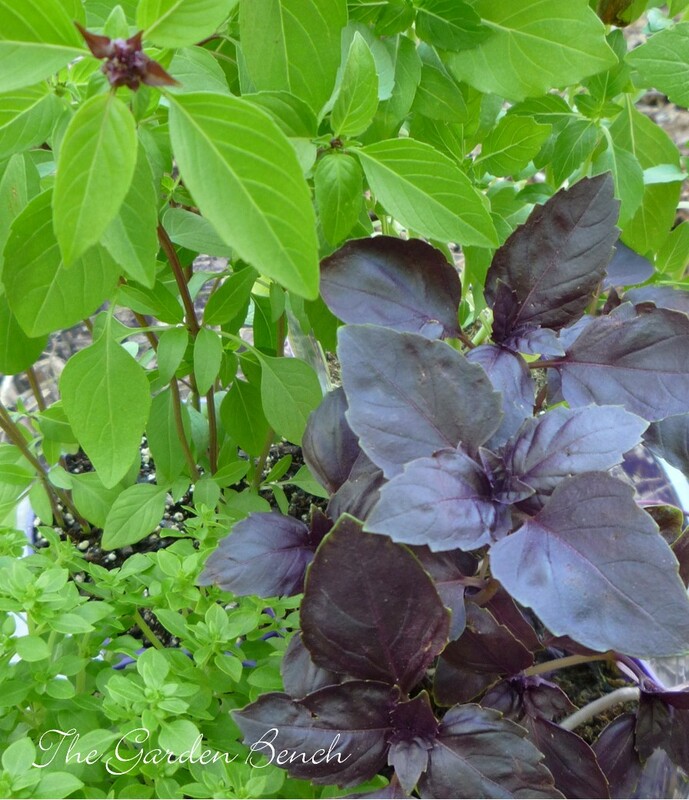 It may still be too cool for some heat-loving plants, such as basil. Begin planting ornamental grasses and perennials. Make sure they get regular water after planting. Peonies tend to flop over in heavy rains, so go ahead and place supports around the shoots now. The growing foliage will cover the supports, and the plants will stay upright in the rain. After spring-flowering bulbs finish flowering, allow the leaves to remain until they can be pulled easily from the ground. This allows time for them to store food for next year’s growth. 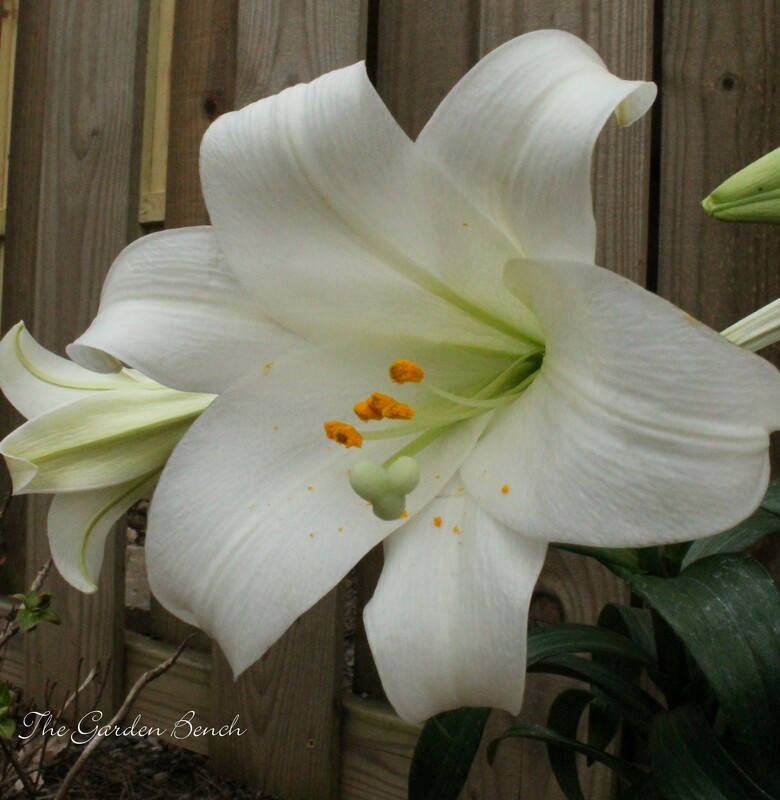 Plant your Easter lily in a sunny spot after the flowers fade. Do not place it in the same bed as other lilies, as it can transmit a disease to other plants. Begin setting out bedding plants. Water plants thoroughly about 12 hours before you plant them. Dig individual holes and place plants at the same depth they grew in their pots. For best performance, break apart and spread tightly wound masses of roots as you plant, and snip off old blossoms. Replace the soil around the roots and water the plants well. Mulch planting beds about in inch deep. Plant your herb garden: rosemary, thyme, mint, lavender, oregano, parsley and other herbs can go in the garden now. Just to be on the safe side, save tender basil to plant later in the month. Set out marigolds, cosmos, petunias, begonias and other annual flowers. Plant coleus for color in shady spots, in containers or in the ground. Sow vegetable seeds and keep them watered, but not soggy, until they germinate. The general rule is about an inch of water a week. Get out the rain gauge! Set out tomato transplants. Set them deeply in the soil so that only the top few leaves are showing. Plant basil, or set out basil transplants. Newly planted shrubs need regular, thorough watering to help establish their root systems. Soaker hoses are an efficient way to water. Plant geraniums in containers or in the ground. They prefer morning sun and afternoon shade. Pluck young weeds out of the garden as soon as they emerge. It’s easier to keep them out if you get them while they’re small. If you MUST prune azaleas, do it shortly after they finish blooming. They bloom on the previous year’s growth, so to prune later risks cutting off next years flowers. Don’t forget about your houseplants. As the weather gets warmer, they need water more frequently. If you have houseplants that spend the summer outdoors, place them in a shady, protected area. Get out and meet other gardeners this month! Check out the calendar Events calendar at left, and in my newspaper column at Tennessean.com. 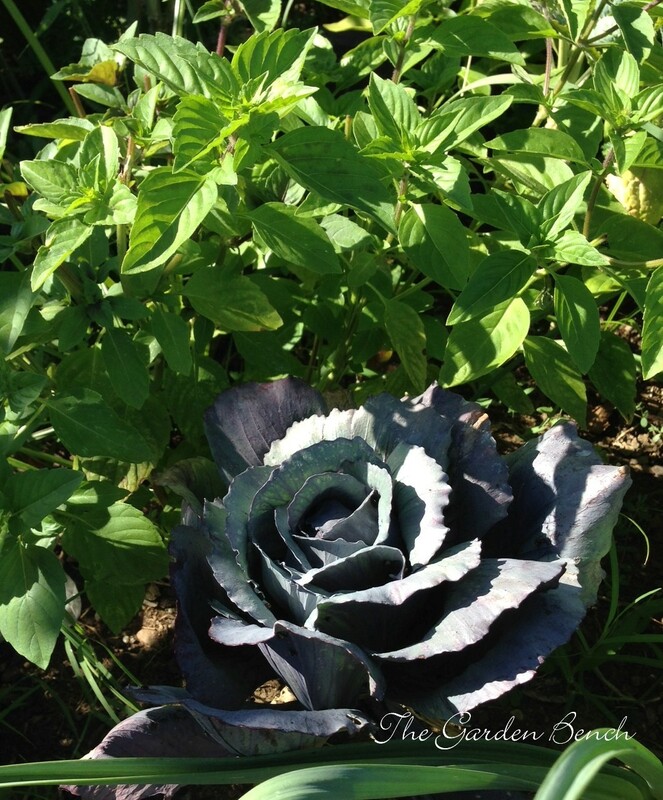 Herbs, garden color, and a Book Giveaway! I’m planning to grow an herb garden for the first time. When is the best time to set out transplants? Wait until warm weather to plant any type of basil. Now that spring is definitely on the way, of course we’re anxious to get things planted, and the herb garden is a good place to start. Some herbs can withstand chilly temperatures, and may already be available at nurseries or garden centers. Herbs that are more hardy – sage, thyme, oregano, parsley, cilantro, rosemary – can be set out very early, but to be safe (and depending on the climate in your area) you may want to wait until closer to the last frost date. (That’s around mid-April in USDA Hardiness Zone 7a, where The Garden Bench calls home). Parsley can withstand a chill, and can be planted now. wait until after the last frost date – or even a few days longer, just in case — to set out transplants. In general, herbs grow best in well-drained soil in a spot that gets full sun, but there are a few herbs that do well in partial sun or partial shade. Garden author Judy Lowe lists chives, cilantro, lavender, lemon balm, parsley and sweet bay as plants that tolerate a little shade. And for aspiring gardeners without a place to dig, herbs do well in containers — alone or planted with other herbs in a garden arrangement. At the appropriate time, set transplants in containers in good potting soil. Place them in a sunny spot on the deck, porch or patio, and keep the containers well-watered. Color all year long – And a book giveaway! Nellie Neal’s appreciation for color in the landscape began while she was college. “I became aware of this garden that was on my route every day. I noticed that it didn’t matter what day of the year it was, there was something going on that was worth a look.” She watched throughout the cycle of the year: where the azaleas bloomed, where the gardenias flowered. In winter, where the shrubs held gorgeous berries. Today, Nellie is a garden writer and radio host living in Jackson, Miss. 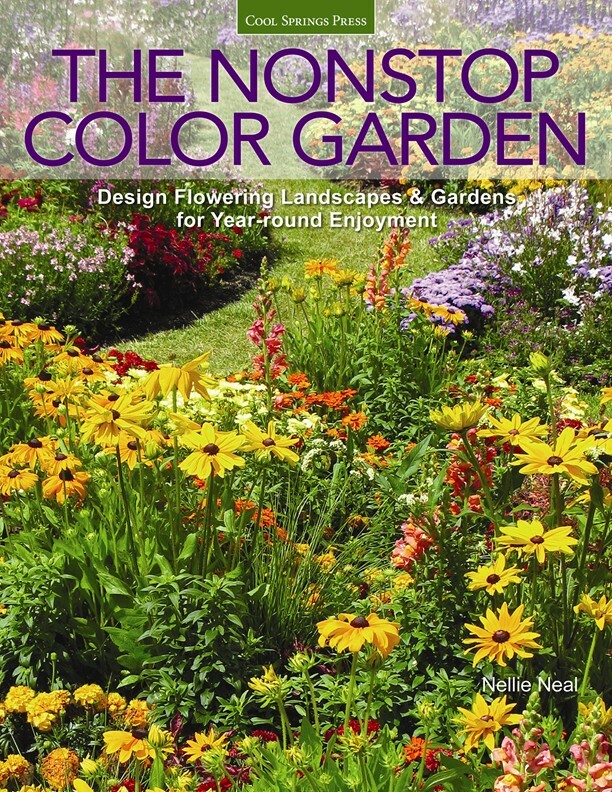 and the author of The Nonstop Color Garden, a guide to designing flowering landscapes for year-round enjoyment. Nellie offers some of her garden color tips in a story in today’s Style section in The Tennessean. Here at The Garden Bench, I’m giving away a copy of the book. Leave a comment at the end of this post about your favorite season for color — or just name a color you like. Respond by 6 p.m. Friday, March 20, 2015 and your name will go into a drawing to win a copy of Nellie Neal’s The Nonstop Color Garden.